Mason Ryan is safe after wandering off through the forest. 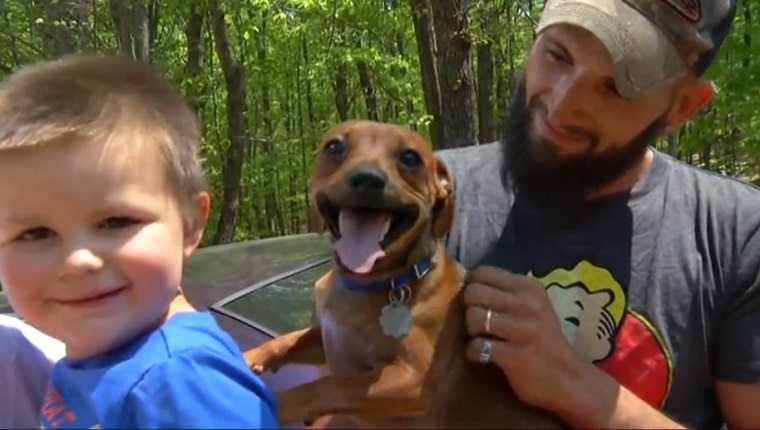 He was found two miles away from his Virginia home after going missing for 9 hours. He apparently was trying to follow his dad who had driven away in his car. 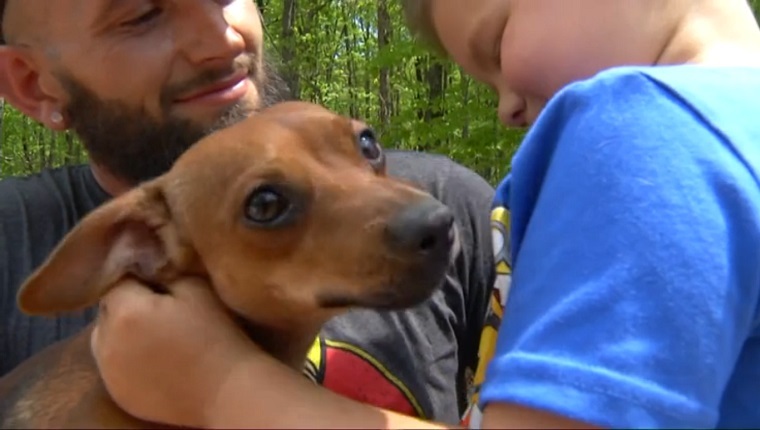 Several hundred people joined the search to find the lost boy, but it was thanks to the family dog, Banjo, that Mason was found. Banjo stayed by Mason the whole time as the 3-year-old boy walked through the woods. It was his barks that let the search party know where Mason was. Banjo was rescued by his family two years ago, and he returned the favor by taking care of his toddler. He never left the boys side throughout the ordeal. When Mason was found, he had a few cuts and bruises, but after a trip to the hospital, he was found to not have any serious injuries. 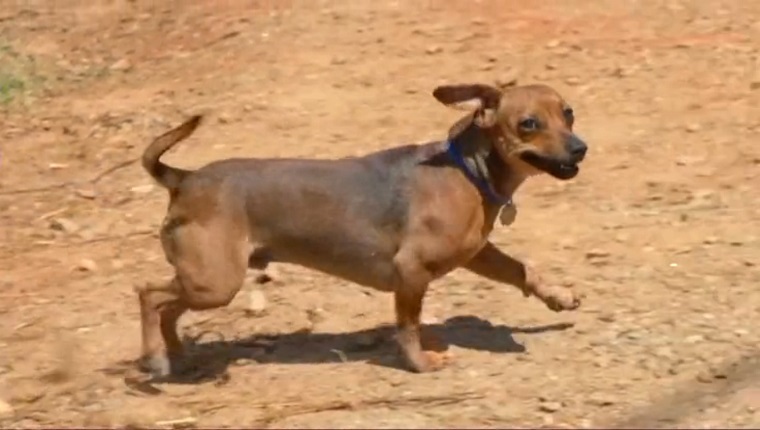 Mason’s parents and grandmother are eternally grateful to the dog who helped bring him home. They’re happy that Mason had a guardian angel with him the whole time. Are you impressed by Banjo’s determination to help his boy? Would your dog stick by you if you were lost? Let us know in the comments below!